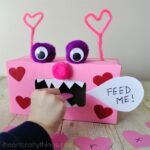 My three year old is in full swing trying to learn her alphabet and I’ve been trying to come up with new ways for her to practice recognizing all of her letters. 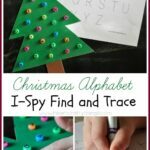 I put together this simple I-Spy Alphabet Game that has been a big hit with her and I thought I’d share it with you. 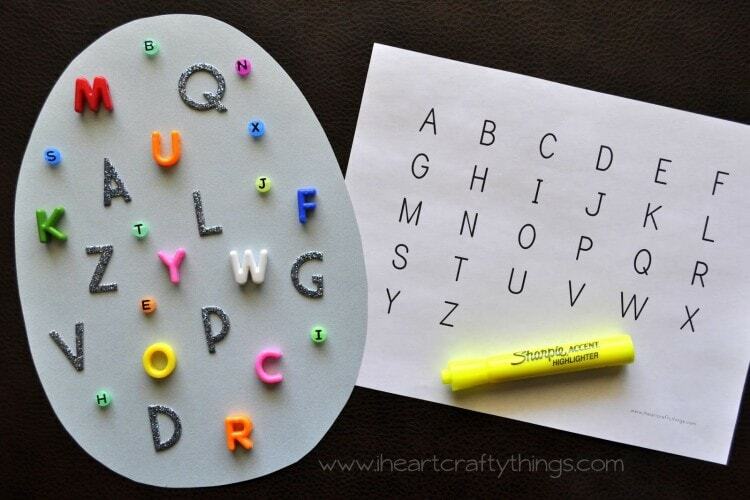 The concept is simple— Once you spot the letter on the egg and say what letter it is out loud, you can cross it off the alphabet list. We started in order at A and went down to Z. We chose to do all uppercase letters, but you could obviously do this with lowercase letters as well. I used three different letter textures on my egg to make it a bit more challenging. The egg looked pretty awesome with the different colors and raised textures. 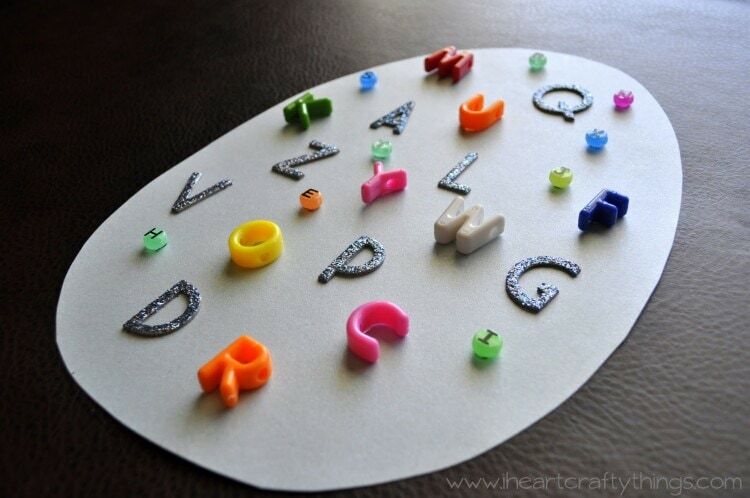 I used Glitter Chipboard Letters from American Crafts (which I purchased at a warehouse sale last year), large multi-colored Bead Letters from Michael’s, and Alphabet Beads from Craftprojectideas.com. 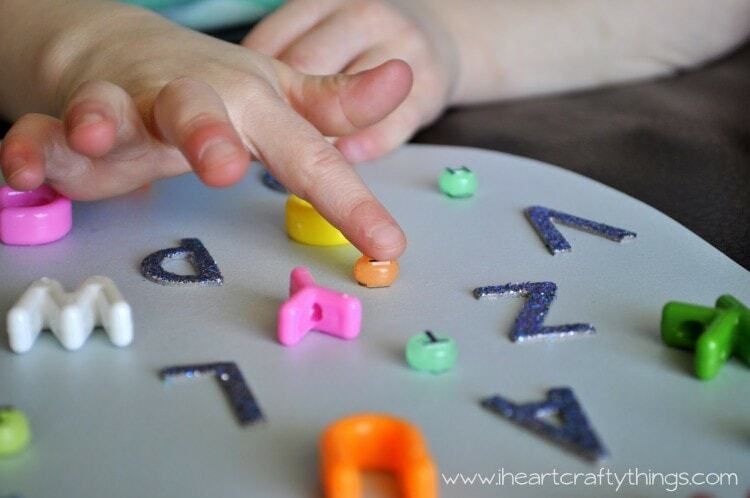 (We received our Alphabet Beads for free from Craftprojectideas.com. All opinions expressed are 100% my own.) 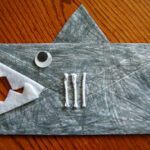 I attached my beads to my cardstock paper with glue dots. 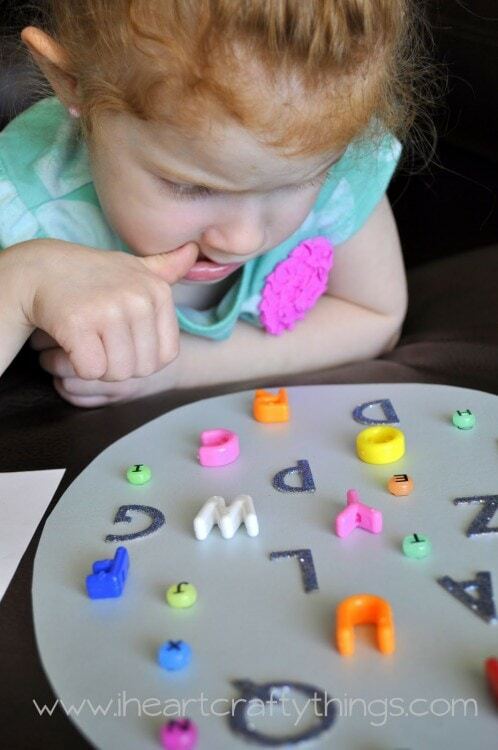 I loved the look of concentration on my daughter’s face as she hunted for each letter. 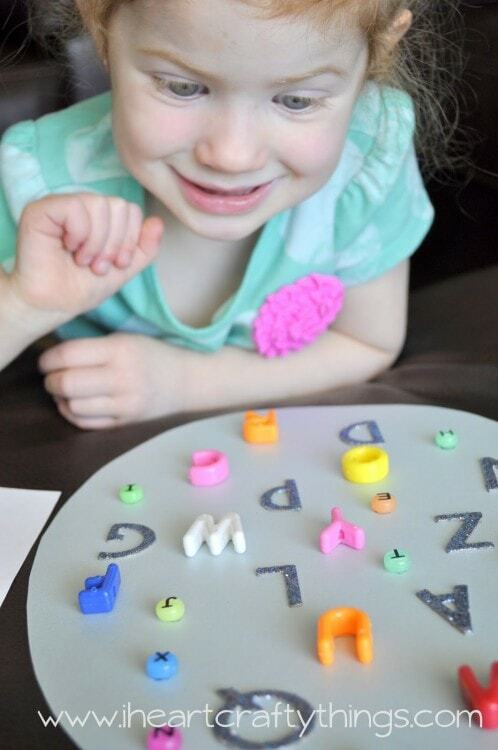 A couple times she got discouraged but I assured her the letter was on the egg and not to give up. Once she found a letter a huge smile emerged! 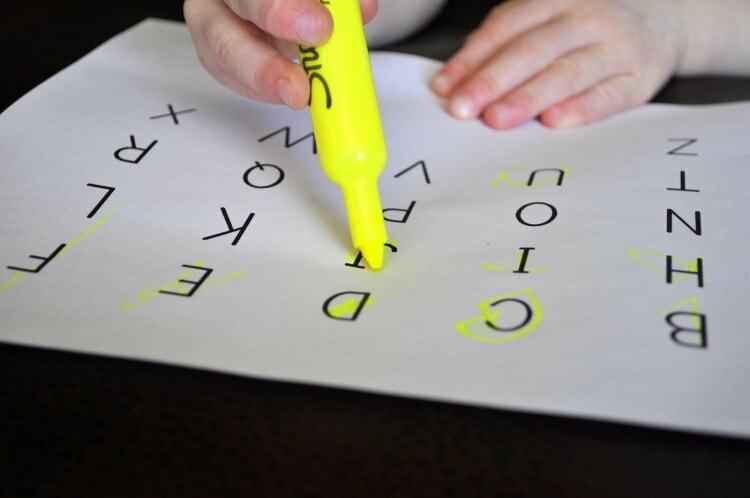 After saying the letter out loud she could cross it off the Alphabet List with a highlighter and move on to the next letter. 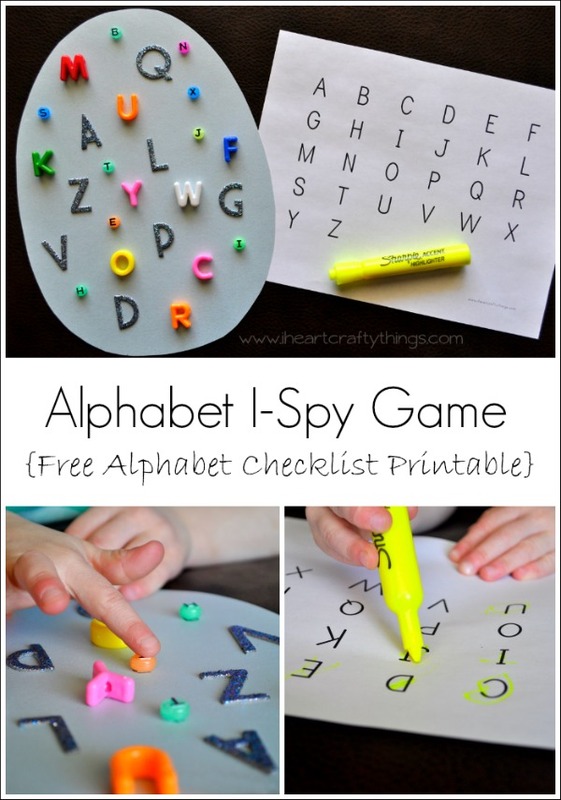 Feel free to download our Alphabet Check-off List Printable if you would like one to do this activity. If you download it, we would love a thank you by a follow on Facebook or Google+.